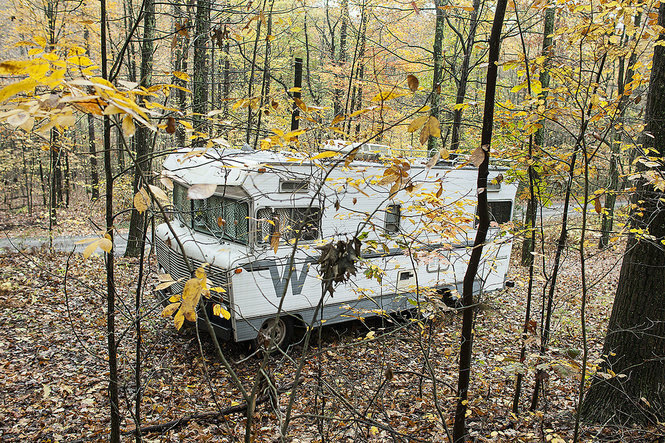 October 19, 2012 -- State police are investigating damage done to a northern Dauphin County man’s camper at some point over the last month. The suspect is described as large, brown, hairy and walking with a hunched back. 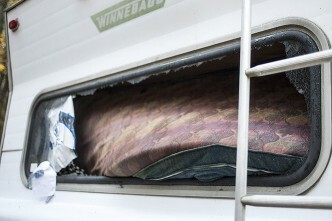 John Reed, of the 400 block of Division Street in Lykens, says a Bigfoot type of creature is responsible for smashing the windows and taillights out of his 1973 Dodge Winnebago. The incident took place just after midnight along a dirt road off of White Oak Road on state game lands in Jackson Township, upper Dauphin County. State police at Lykens issued a press release this morning saying they were investigating it as a criminal mischief complaint. Reed said he saw something moving outside the camper and turned on an outside light. Moments later, the camper was “bombarded by rocks” coming out of the woods, he said. Dauphin County District Attorney Edward Marsico Jr. said he was unaware of the incident, but said if a creature is caught, his office would prosecute the alleged Sasquatch. The trooper investigating the incident said this was the first report of an incident involving Bigfoot in the area. According to the trooper, pending further information the investigation is not being actively pursued.